During Saturday's edition of The Axe Files With David Axelrod, host David Axelrod sat down with New York Times Executive Editor Dean Baquet and The Washington Post Executive Editor Marty Baron. Axelrod asked the duo how concerned they were about the safety of their reporters in light of the fact that President Trump refers to some of the media as "the enemy of the people," playing a clip from one of the President's rallies where he uses the terms "fake news" and "enemy of the people" as the crowd cheered. 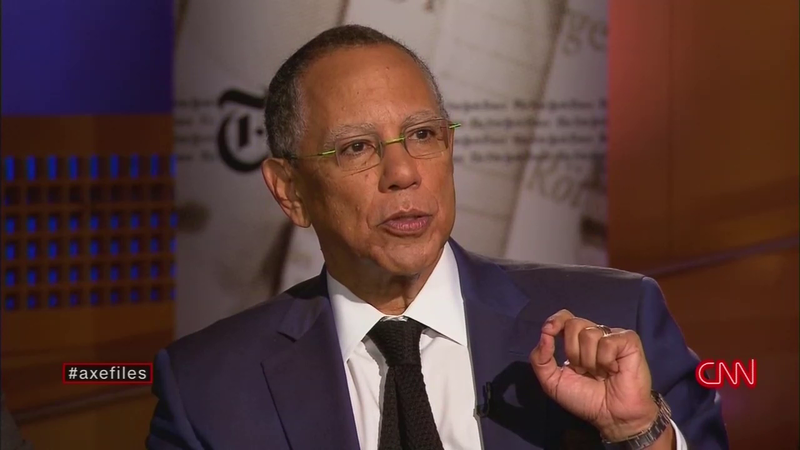 Baquet said that he was very concerned, adding "I think that the President has sent a message to despots abroad that you can disrespect the press...I can't tell you how concerning it is that this President has told those governments, 'you can beat up the press, you can call them enemies of the people.'"